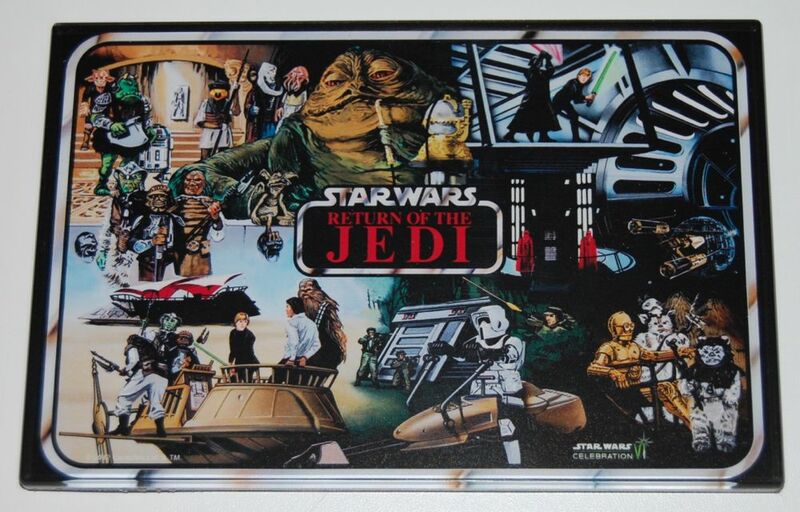 This is a large magnet (around 6″ wide) made using the original artwork from Kenner’s vintage Return of the Jedi action figure case. I still don’t have one of the actual cases, as they are relatively expensive and I haven’t yet found a good deal on one. While you can’t really see it in the picture, it’s covered with a thick layer of acrylic, making rather substantial feeling. The magnet itself is also fairly powerful. They made versions for the figure cases from A New Hope and Empire Strikes Back as well.